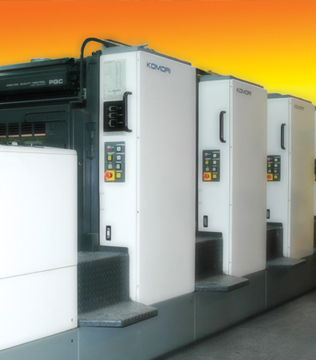 Economy Printing provides high quality results at competitive prices. Offset printing allows great product control and ease of ordering reprints that will match in both color and quality. We offer a wealth of printing methods and can advise you as to which best suits the requirements of your particular job. We produce everything from a short run of a simple flyer to multi-page, multi-color bound catalogs and everything in between. Our advantage lies in the fact that we can produce all these pieces in-house. This expedites the process and, because we oversee all of the work on-site, it assures you the quality you deserve.